Elle Fanning stuns on the cover of Net-A-Porter’s weekly digital magazine PorterEdit! For more from Elle, visit Net-A-Porter.com. Dakota Fanning Pens Sweet Birthday Note to Little Sister Elle! 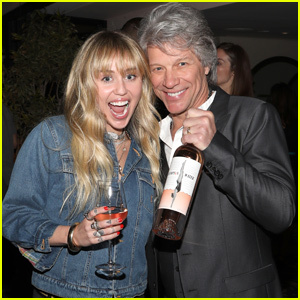 Miley Cyrus Shows Off 'Hannah Montana' Locks at Hampton Water Launch Party! Irina Shayk, Camila Morrone, & More Celebrate H&M's New Conscious Exclusive Collection! Katherine Schwarzenegger Steps Out Solo for Armani Box Los Angeles Pop-Up! Dakota & Elle Fanning Celebrate New Year's Eve with Fabulous Party! Dakota & Elle Fanning Shop With Their Mom in Beverly Hills! Dakota & Elle Fanning Have a Day of Pampering in Los Angeles! Dakota Fanning Is Gorgeous In Green At Emmy Awards 2018!